In the late 1950s, fingerstylist John Fahey birthed an alter-ego named Blind Joe Death, a mythic bluesman who personified what music critic Greil Marcus has dubbed old, weird America. In shaping his eccentric personal mythology, Fahey once claimed to have built a guitar from a baby’s coffin. He christened his own music American primitive, though it was neither purely American (he incorporated Indian ragas, as well as classical, jazz, and Latin rhythms, into the form) nor primitive (he could neither read nor write music, yet his odd tunes were complex). American primitive guitar is a niche genre, yet it is influential and enduring—Fahey paved the way for Windham Hill founder and solo-acoustic guitarist Will Ackerman and that label’s celebrated axeman Michael Hedges (though Fahey dismissed their recordings as “hot tub music”). In 2003, Rolling Stone ranked Fahey as No. 35 on its list of 100 Greatest Guitarists of All Time. In recent years, the style has been embraced by avant-folk artists like Kaki King and Marisa Anderson, and such experimental rock acts as Jim O’Rourke, Daniel Bachman, and the late noise/drone guitarist Jack Rose of Pelt. Each year, folk-music enthusiasts gather on the banks of the Sligo River in Fahey’s hometown of Takoma Park, Maryland, at the Thousand Incarnations of the Rose Festival, named after one of Fahey’s best-known tunes, to hear such American primitive players as Glenn Jones, Rich Osborn, Gwenifer Raymond, Max Ochs, Mark Fosson, and Nathan Bowles. Fahey’s catalog on Vanguard and his own Takoma labels remain in print on the Ace and Concord labels 80 years after his birth—he died in 2001 following bypass surgery exacerbated by years of ill health. Several independent labels—including Tompkins Square (which helped revive the genre with the 2004 compilation Imaginational Anthem), 4 Men with Beards, VDSQ, Rhino, Thrill Jockey, and Drag City—have taken up the American primitive banner, reissuing classics, as well as lost recordings, and releasing new titles by both first-gen and millennial purveyors of the form. Those eager to learn more about this iconic artist should check out Steve Lowenthal’s 2014 biography, Dance of Death: The Life of John Fahey, American Guitarist, which has just been released in paperback. Here are 10 noteworthy American primitive solo-guitar albums by Fahey and his followers. 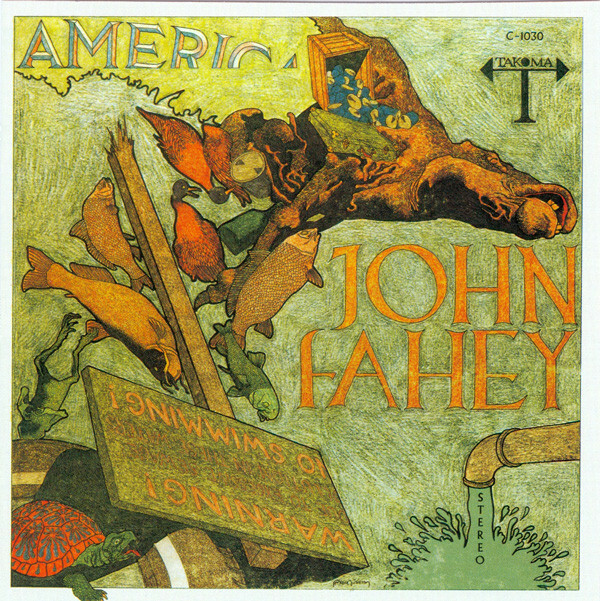 In 1971, John Fahey released the single LP America that many consider a masterpiece—a classic example of solo-acoustic guitar from the man who defined the instrumental-folk form. Only about half of the original work made it onto vinyl after someone convinced the guitarist that a double album wouldn’t sell. In 1998 (and in two subsequent reissues), digital technology allowed fans for the first time to hear this landmark work in its entirety (actually, two minutes were cut since CDs could hold only hold about 79 minutes of music). The reissue is rapturous in its beauty—a majestic, spacious work as grand in its deceptive simplicity as the early American landscape from which it draws inspiration. The CD reissue features nine additional songs that were meant to make up the first LP of the ill-fated two-record set, including inventive recastings of American hymns, gospel, and folk songs; a cover of country blues legend Skip James’ “Special Rider Blues”; a breathtaking arrangement of the third movement of Dvorak’s Eighth Symphony; and the lost masterworks “America” (thought to be the only recording of Fahey playing a 12-string guitar) and the 11-minute mini-opus “Dalhart, Texas, 1967.” America reveals the full depth of Fahey’s vision. Leo Kottke: 6- + 12-String Guitar. Rhino. This 1969 classic is one of the best-selling solo-acoustic guitar albums. Kottke, a Fahey acolyte, had mailed a demo cassette to the Takoma label office in Berkeley, California. The close-miked recording technique, then still relatively new to the industry, captured the aggressive attack and delicate intimacy of the steel strings on such tracks as “The Driving of the Year Nail” and “The Brain of the Purple Mountain.” Kottke has gone on to become the genre’s most commercially successful artist. 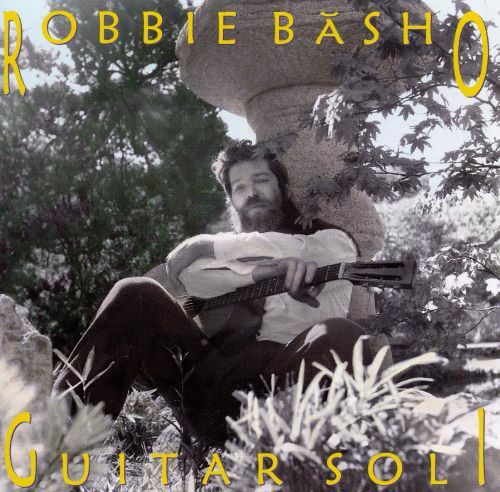 Robbie Basho: Guitar Soli. Takoma/Fantasy. Mark Fosson: The Lost Takoma Sessions. Drag City. This Kentucky-born guitarist recorded these breathtaking country- and folk-tinged tracks in the 1970s for intended release on Fahey’s Takoma label. But when the label ran into financial problems, Fosson retained the masters and sidetracked the project to work in a country duo, the Bum Steers, and a career as a Hollywood film composer. The subsequent 2006 release of The Lost Takoma Sessions opened a floodgate of other recordings from this fine picker. 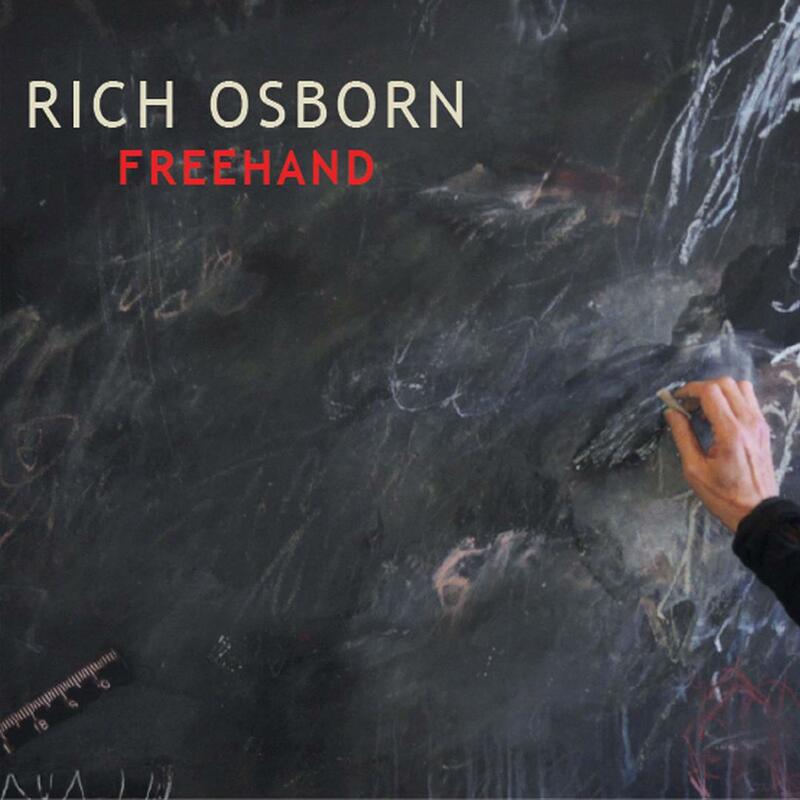 Rich Osborn: Freehand. Free Range Raga Records. Osborn was highly regarded in the American primitive movement, but moved toward classical guitar before abandoning his music career altogether. Then, in 1980, he drove a chisel into the thumb of his left hand and severed a nerve. It took 15 years before he regained command of his chops. In 2012, he reemerged with Giving Voice: Guitar Explorations. 2015’s Freehand is filled with haunting improvisational tunes drawn from Eastern traditions and coaxed from an ancient 100-year-old acoustic guitar. Harry Taussig: Fate Is Only Twice. Tompkins Square. One listen to the bluesy “Rondo in D—on Southern Themes” and you’re hooked—you might think Taussig has cornered the market on haunting melodies. “C’est Magnifique—Fantasia in A,” “Electric Forests, Electric Trees,” and “Children’s Dance” capture his gift for quiet elegance. The title track is brimming with the 4 A.M. mystery that courses throughout this genre. Max Ochs: Hooray for Another Day. Tompkins Square. In 1969, this Maryland-based guitarist, the cousin of folk legend Phil Ochs and a former classmate of Fahey and Basho, recorded the signature American primitive tune “Imaginational Anthem.” It was reissued as a seven-inch single in 2005. But this album, a combination of American primitive guitar and banjo and spoken word, includes a version. 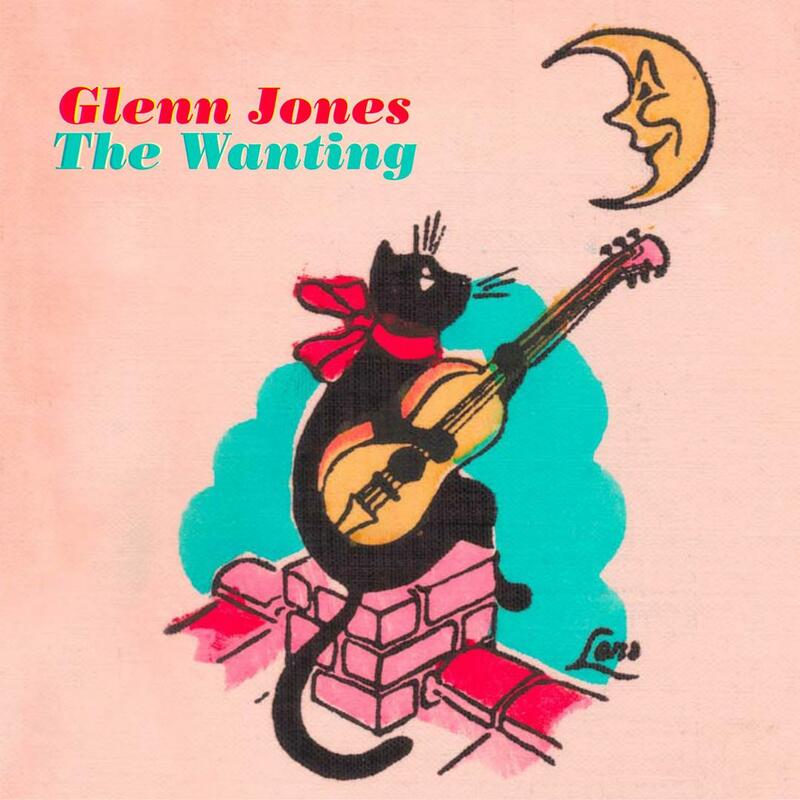 Glenn Jones: The Wanting. Thrill Jockey. The fourth solo album from the guitarist of the experimental rock band Cul de Sac is steeped in the influences of Fahey and Basho, but also finds Jones stretching out tonally with an ever-growing arsenal of alternate tunings. The centerpiece of this acclaimed 2011 release, the 18-minute epic “The Orca Grande Cement Factory at Monolith, California,” is an homage to Fahey’s classic “The Portland Cement Factory at Monolith, California.” But Jones has a much more nuanced touch than his idols. His use of banjo on “The Great Swamp Way Rout,” “Menotomy River Blues,” and other tracks adds an Appalachian twang to the proceedings. Daniel Bachman: Seven Pines. Tompkins Square. Gwenifer Raymond: You Never Were Much of a Dancer. Tompkins Square. This stunning 2018 debut from the young British acoustic guitar player Gwenifer Raymond is one of the year’s best folk albums. “Haunting” doesn’t begin to describe the mesmerizing impact of the two-part instrumental “Off to See the Hangman” or the bluesy slide of “It was All Sackcloth and Ashes.” On YouTube performance videos, Raymond can be quite aggressive, letting her steel strings buzz against her fingertips, but on record she exhibits masterful control and rich, warm tone. The musical style might not be Celtic, but the vibe is ancient in its folksy soulfulness.